Filming took place in Peter Firmin's barn. 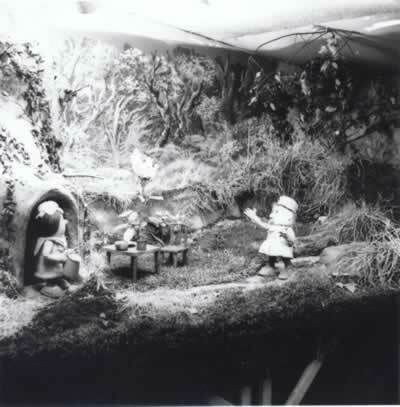 Much of the scenery was created using real turf which was cut from outside and then brought in for filming. After a few days it had started to die and had to be replaced with fresh turf which was rather hard work. In the photograph above you can just about see the light in the top left corner and the legs underneath the raised stage. 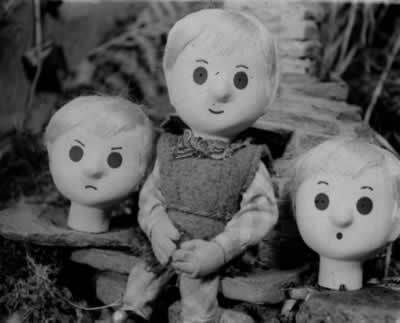 The Pogles charecters took months to create and use different methods to give them their facial expressions.